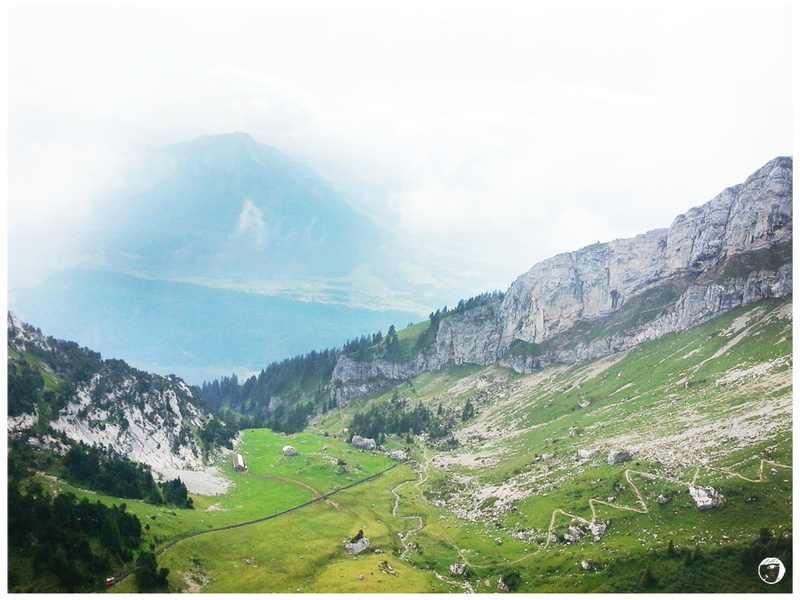 Going to Lucerne, Switzerland, I had my chance to travel up to the top of Mount Pilatus, 2132 meters above the sea level! 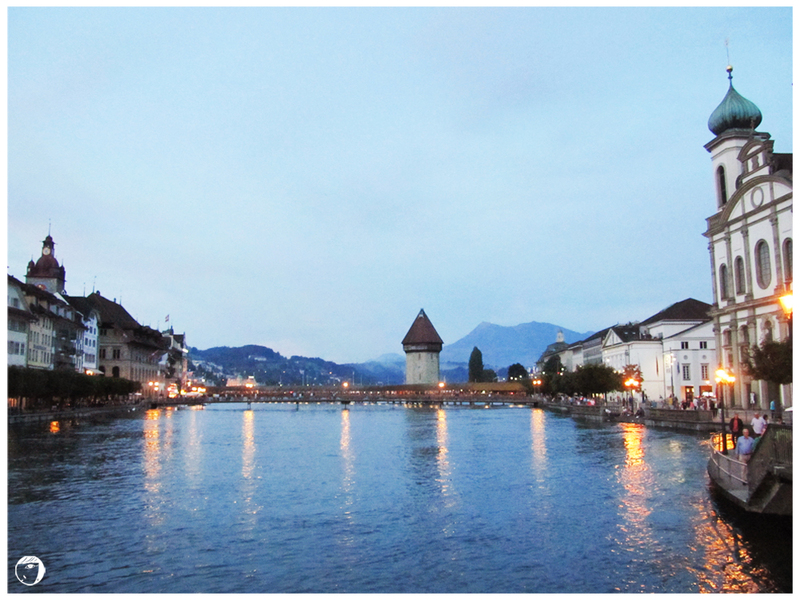 It is a mountain overlooking Lucerne in the central part of Switzerland. Some of you might wonder, why don’t I go to Titlis instead? Titlis‘ location is not in the same direction of my road trip, so I went to Pilatus instead. 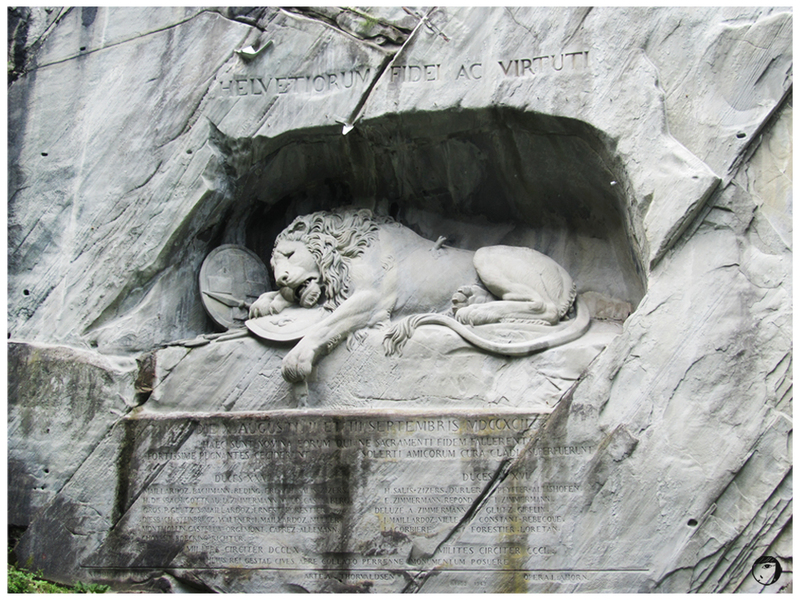 But, what are the differences between Mt Titlis and Mt Pilatus? Both are the mountains in the Urner Alps of Switzerland. What you’ll get up above the Titlis is the view with snow and ice quilting the soaring peaks all year-round. 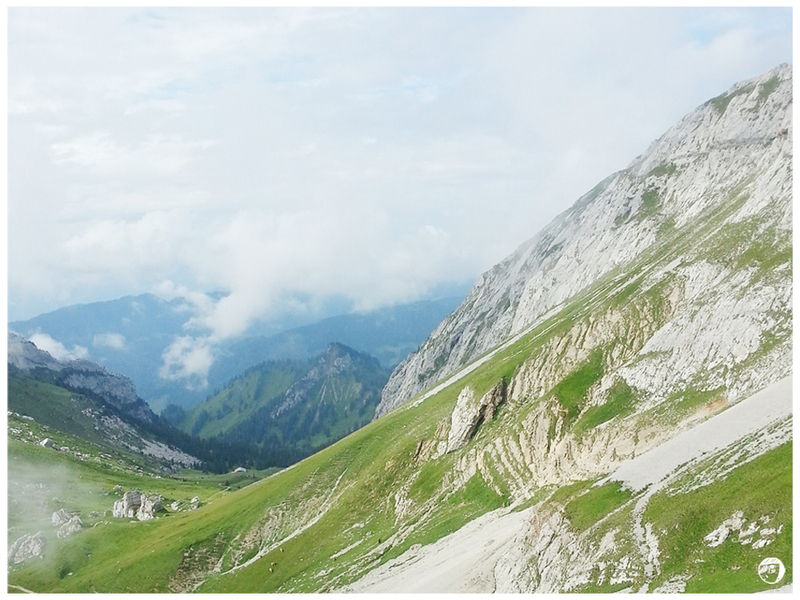 Pilatus (known to be haunted at its summit by a friendly dragon) is famous for its rocky but breathtaking views. 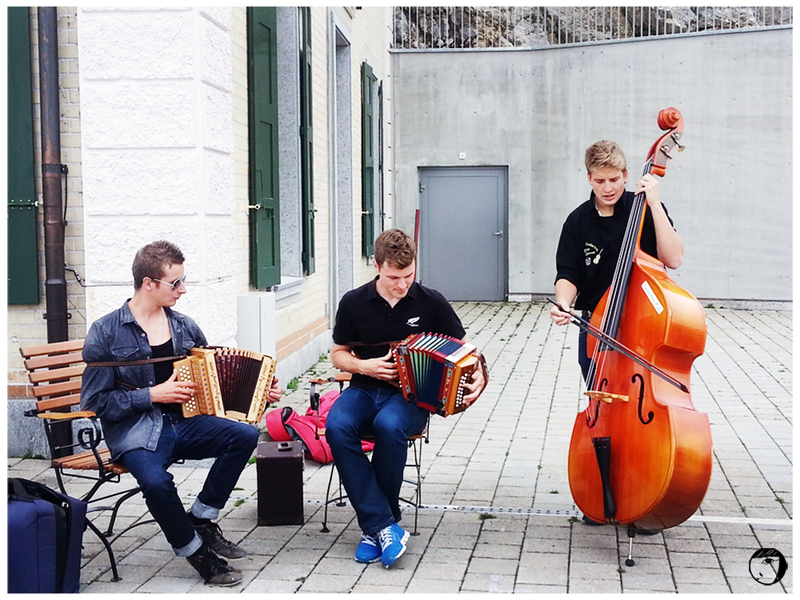 We took the travel up to the Pilatus by boarding one of the world’s steepest cogwheel railway at the gradient of 48%. Forget about the fact that the rail is more than 100 years. 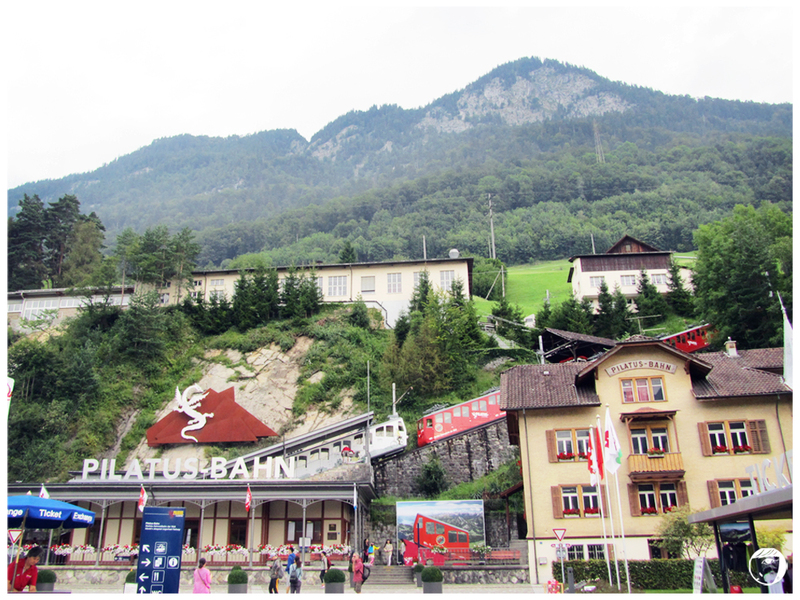 We arrived in Alpnachstad, the mountain’s base and rode the cogwheeled-train up the mountain. For those who are fit enough to hike up, the journey to the top takes over 5 hours in normal walking. The cogwheeled-train uphill journey lasted for 30 minutes (downhill 40min). Take your time at 9km/h to enjoy the 4.6 kilometers scenic ride through meadows, tunnels. 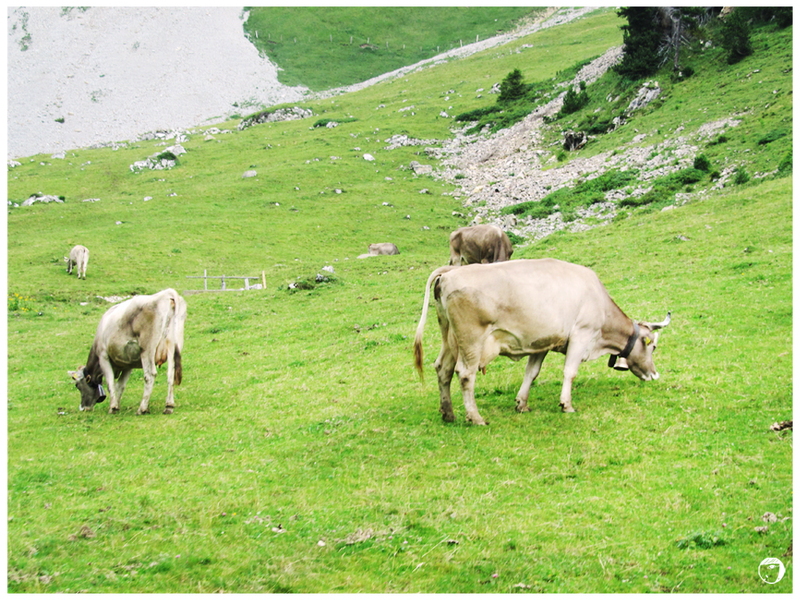 You will see some cattles too on the mountain-side. The ride operates from May to November. Another option is to take the 6 kilometers cable car ride, operating all year round (except for maintenance or during unfriendly weather). The cable car ride is divided into 3 sections: Kriens – Krienseregg (10 minutes panorama gondolas ride), Krienseregg – Fräkmüntegg (15 minutes panorama gondolas ride) and Fräkmüntegg – Pilatus Kulm (5 minutes aerial cableway ride). At the top of the Pilatus, the mountain peak hotels offers the stays with a magnificent views and excellent restaurant. According to reviews, the hotel rooms are comfortable and you can experience to wake up refreshed with the unpolluted mountain air. Or you can enjoy lunch on the terrace, as Queen Victoria did. 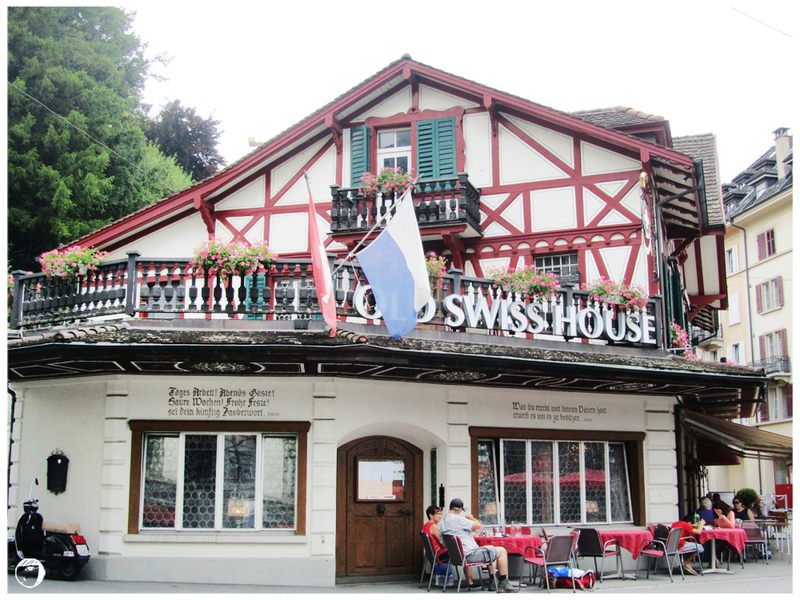 It is a definite worthy experience to wander around the summit to marvel at over 70 alpine peaks, listen to the spontaneous live band, or give the local beer a try at the self-serve mountain tap. The view at the top is an absolutely fabulous on a clear day. The best time for this is during the summer month. I was lucky that the weather is friendly and sunny on that day. From the top at 2’312 meters above the sea level, Pilatus shows 360° takebreathing panaromic view on the Central Switzerland. *Cogwheel operates from May to November *The aerial cable car operates the whole year, but might be cancelled during the poor or unsafe weather conditions.